So, the old covenant was both inferior to and superseded by the new. Replaced. Done away with. Rendered obsolete. All of this constant hammering about obsolescence was all the more necessary for the Hebrew believers. The Gentiles certainly came to the faith with their own baggage (usually immorality), but they never had the self-inflicted baggage of thinking themselves able to pull themselves up by their bootstraps and make themselves acceptable to God by some variation or combination of law-keeping and ceremony. This is why the Gentiles embraced the gospel so quickly and so readily. To them it was truly good news. They were immoral, impure, carnal creatures who knew what they were when convicted by conscience, but who previously had no hope of reconciliation to God. 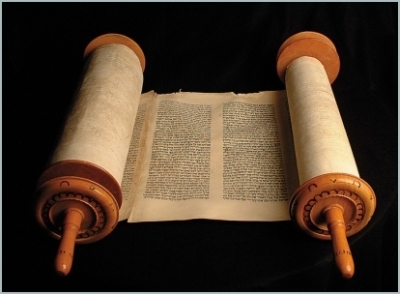 The Jews, on the other hand, carried all the advantages of bearing the oracles of God, along with all the disadvantages of thinking that merely possessing the law, or having been chosen to be the keepers of the oracles, gave them some sort of free pass. Or, if not, it certainly laid out for them the means by which they could reconcile themselves to God. Wrong! Due to its inability to reform hearts and its limitation to convicting of sin, the old covenant of law was always a system destined to obsolescence in God’s plan. That time had arrived with the gospel age. Christ had come and so the new covenant had come and rendered the old obsolete. Remember, the old said, "If you do this, I will do that," without actually imparting the power for the hearer to do what was commanded and required. The new covenant said, "Because Christ has done this, I will do that," wherein God swore to and by Himself that he would regenerate a people and give them a heart that loved him. Because of their tradition and their heritage, some Hebrew believers were tempted to either hold onto, or to go back to the old ways. They were in danger of mixing the gospel of grace with something else. That would make it "another" gospel, though there is really no other. This would, in effect, be apostasy and, if fully embraced, would be irrecoverable. That is why the writer has written to them - to guide them away from the deceptions of false teaching (Judaisers) and from an obsolete system (Judaism). During this period (arguably after the resurrection, but before the destruction of Herod’s temple in 70AD) the two covenants seemed to overlap because outwardly they existed side by side, at least in the perceptions or memories of that generation. But the external had been exposed for what it was by the coming of Christ, and it was apparent that the kingdom of God was within and among believers, that the props and ceremonies of the past were now understood to be symbols of invisible and heavenly things pertaining to a kingdom that was not of this world, though it was manifested in it - a kingdom of the spirit, in which the Spirit of God was the power and the risen Christ was the King. The symbols and ceremonies of the law were literally passing away. Temple worship and sacrifice were either already stopped by the destruction of Jerusalem, or were about to be. God was working to put the full stop on the old covenant by judging the unfaithfulness of Israel. No more sacrifices, no more (earthly) temple. But the symbolism was as valid as ever, as we shall see.